Hi everyone! It’s time for another fall themed tutorial. 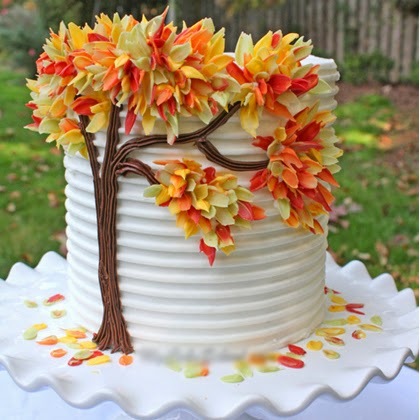 Today’s cake design features a simple idea and method for creating an autumn themed cake that is as unique as it is beautiful. This design would be perfect for any fall occasion, or on your Thanksgiving dessert table. I hope that you enjoy it!